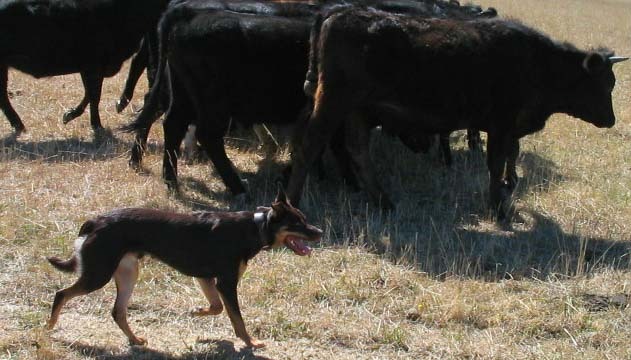 Herding training for the city working dog. Are you the proud owner of a herding breed? Have you ever wanted to learn about and experience herding? Being the owner of a herding breed you’ve probably worked out that general obedience is not enough for your dog. 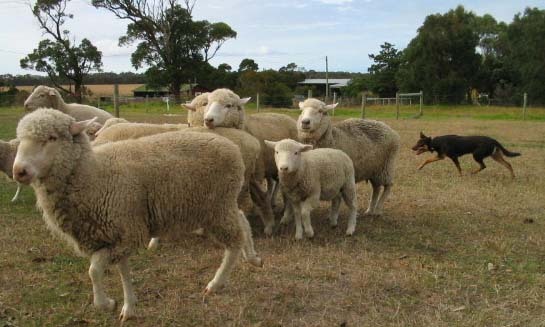 Sit, drop, stand is great but a herding dog was bred for more active pursuits. Working dogs have been bred for thousands of years to work independently away from their handler. Sometimes mustering large mobs of cattle or sheep over 1000’s of acres. They need to be indipendent thinkers to enable them to accomplish the work they do. This is the reason that most working dogs do not do very well at obedience. The working dog works away from their master not close to the handlers leg. 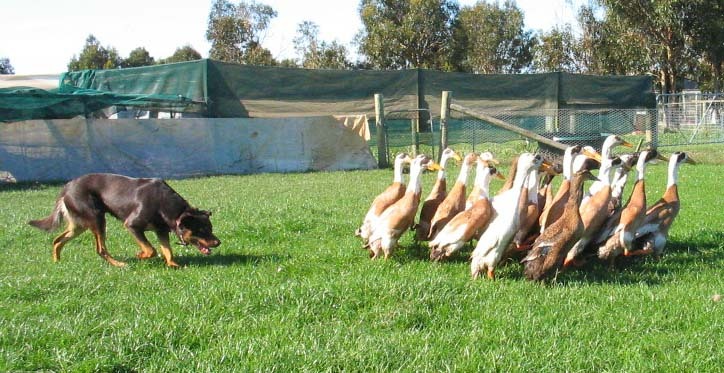 Herding dogs need special training and understanding. At our Herding Training Workshops you will experience working with your dog as a team. You will learn about your dogs natural instincts and drives which will assist you in every aspect of your dogs future. You will learn why your herding dog acts the way they do and how to control them in a kind and understanding manner. You and your dog will receive lots of practical experience in a small group. So there are plenty of runs on sheep and personal attention. This can become a rewarding, fun hobby for you and an enjoyable activity for your dog. Herding breeds are happier and less frustrated if they are trained to use their natural instincts. Some people who have come to these workshops have gone on to purchase, train and trial other dogs whilst living in the city. So throw away those plastic bones and stuffed toys and come and experience the lives of your dogs country cousins. For our next Herding Training Workshop dates please got to our Calender page.For more information go to our FAQ's page or contact us. Currently own a working herding dog that’s not quite working out? Don’t replace the dog—retrain them and yourself. We can teach you to get better performance from your dog by understanding their natural talents and working with them. 90% of the time it’s not the dog but the handler who is making the errors.